Right now, this world, is crazy. With the current events unfolding around us on a daily basis we are all working to thrive in a state of crises. Whether you know it or not, we are all coping in one way or another to deal with the surrounding chaos. No one is exempt. One way or another, everyone who is a human being and who is alive in this time is having to DEAL with the madness around us. Helpers are needed more than ever. Helpers are the courageous people who are coping and dealing, by trying to help others cope and deal. This is a healthy and conscious way to manage what is going on. Helpers choose to be part of the solution, rather than focus on the negatively and the problems. Helpers bolster the survivors of these times. Massage Therapists and Bodyworkers are Helpers. We work to make an immediate positive impact on the quality of people’s’ lives by providing rest and nurturing in a safe place to simply BE. We offer comfort and therapeutic touch. Some of our clients simply need to breathe, rest and receive a nurturing and relaxing massage. Others can benefit from a deeper treatment approach for musculoskeletal pain and discomfort. We adapt to the full spectrum of people and we are here to help. Massage Therapy is holistic healthcare, meaning, the benefits of receiving massage therapy are emotional, psychological and physical. We are not just here to help our clients, but to help ourselves by giving our lives meaning and purpose in this wild world we call home. Massage Therapists are wave makers. Our work has repercussions. We offer valid and skilled therapy for our clients and we make a positive impact immediately on their lives. After receiving massage therapy, our clients can’t help but be more present, and thus more consciously aware of their actions and reactions. They leave their massage with a heightened sense of themselves and can be more in control of how they respond to the world around them. A client may be kinder to their employee, or their partner or their child after a receiving a massage because they are more connected to themselves. They have received comfort, nurturing and therapeutic attention from a massage therapist who has offered them unconditional positive regard, and time to just simply be taken care of. If you are considering a career in massage therapy. Please find the school that is best for you and sign up right now and become a helper. If you are a person who is suffering from the unreal stresses of your life, please make receiving massage therapy a NORMAL part of your life and watch how things get better. If you are in the massage profession or industry, please take responsibility to support the profession by educating the public about the benefits of this career, and help bring the right people to this profession. Wherefore Art Thou… Professional Ethics? Every now and then I take a peek at the professional massage therapy boards on Facebook. Every time I do, I am astounded by some of the comments I see left by some Licensed Massage Therapists and/or Body-workers, and Massage Therapy and/or Body-Work Educators. It is deeply concerning. What I saw in the conversation tonight was so stunning that I had to write this. I would suggest that some of the Massage Therapists participating on these boards could spend LESS time on these boards and more time taking ethics classes. I’m just guessing here, but many signs indicate on these threads that some of the participants had ethics in entry-level and then never took another ethics class after that. It also seems that if they did have an ethics class in entry-level, it was either a marginal class at best, or they simply forgot the important ethical rules of engagement they agreed to. Another problem is ethics classes 20-30 years ago were non-existent or completely different from what we have now. We didn’t have the internet or much regulation in those days, let alone testing, and some states don’t require continuing education in ethics for licensure renewal. This is very bad as it produces seasoned professionals who are operating ethically from the education they received 20-30 years ago. Commonplace ethical violations seen all over these boards are: breach of confidence, discrimination, therapists out of scope, personalization of the therapeutic relationship, diagnosing, prescribing, promoting mythology and advising incorrectly to name a few. Things shift and change. We want our profession to evolve, It IS evolving, and we need to evolve with it. We will never know it all. Our clients make themselves vulnerable whenever we work with them. We need to be as prepared as possible for the multitude of potential ethical dilemmas that can unfold before us, keep our clients safe, and protect ourselves and the profession. We are all representing the profession that is now respected as legitimate health care. We need to protect that by acting as ethical representatives. To do otherwise is to sabotage the gains. If you are a practicing LMT or body worker and have not had an ethics class for several years, and/or failed to learn the basic ethical rules of engagement in entry-level, please, Please, PLEASE get up to speed NOW on your ethics, and continue to learn! Ethics classes are fun and no one knows it all. Those who think they do are a problem. If you are a massage therapy and/or bodywork educator and you are not up to date on your ethics, your feet are to the fire because the damage you can do will multiply. It is critically important to get the ego in check so one can learn. Humility is critical for the ability to receive information and thus embody that information as knowledge. Plenty of ethics classes right here at NCBTMB and you can even take some of them online! It IS an ethical responsibility to continue to learn about ethics for the life of your career and it does not matter if your state does not require it for licensure renewal. It’s the right thing to do. You don’t need an excuse…but have plenty. When you receive a professional massage, you are receiving health care treatment by someone who has been trained in the art and science of therapeutic touch, and who is there for you completely. Receiving this type of attention and nurturing will enhance your life in a multitude of ways. Massage improves everything! When you receive professional massage therapy, you are encouraged to connect with yourself. When you connect with yourself you can feel more, contemplate the quality of your relationship to your self and to your life, shift your perspective and inspire a creative and positive outlook. You can be thoughtful about everything, or rest your mind and consider nothing at all. You give yourself the opportunity to rest, slow down and connect. Additionally, you receive the long list of proven physical, mental, and emotional benefits that massage therapy provides. When you consider all of that, are you not worth this investment in your life? You can receive therapeutic massage from exceptional therapists across the country. Be selective when you decide who you will trust to touch your whole life. Not all Massage Therapists have the same training or skill set, and it will be important for you to connect with one who can best serve your specific goals. If you are interested in working with a Berkana trained Massage Therapist, we have about 350 around the country; and of course, our Student Clinic in Prospect regularly welcomes the public to participate in our education, and receive outstanding bodywork from our students for about half the cost of a professional massage. The Berkana Institute of Massage Therapy revealed today its massage therapy licensure program will relocate to Prospect New Town, Colorado as of July 2017. Plans to convert the current Lower Downtown Denver campus into a Massage Therapy Co-Op and Continuing Education Facility for NCBTMB Approved Providers and fellow Holistic Educators were also announced. Conveniently located on the corner of Ionosphere and Tenacity in Prospect New Town, the new Berkana Institute of Massage Therapy location resides on a bus line and off of a major highway. Students can easily commute from most of Colorado’s premier Front Range destinations in as little as 20-40 minutes. Such accessibility permits students to reside in nearby locations most affordable and appealing to their personal styles. Named “The Coolest Neighborhood in the United States” by Dwell Magazine and winner of the Governor’s Smart Growth Award for its innovative alternative to suburban sprawl, the prime location in Prospect New Town provides ample parking, restaurants, and boutiques all within walking distance—establishing The Berkana Institute of Massage Therapy as a true destination. Pending approval from the Colorado Department of Higher Education, Private Occupational School Board, the grand opening of the new Prospect New Town location is scheduled for Mid-July 2017. Courses for the entry-level program will begin in the newly-renovated space in Late-July 2017. Inaugural, class-only residents from Denver and further away will receive special incentives. Furthermore, a Student Clinic will be established shortly after to serve the Prospect and Longmont communities with affordable massage therapy. 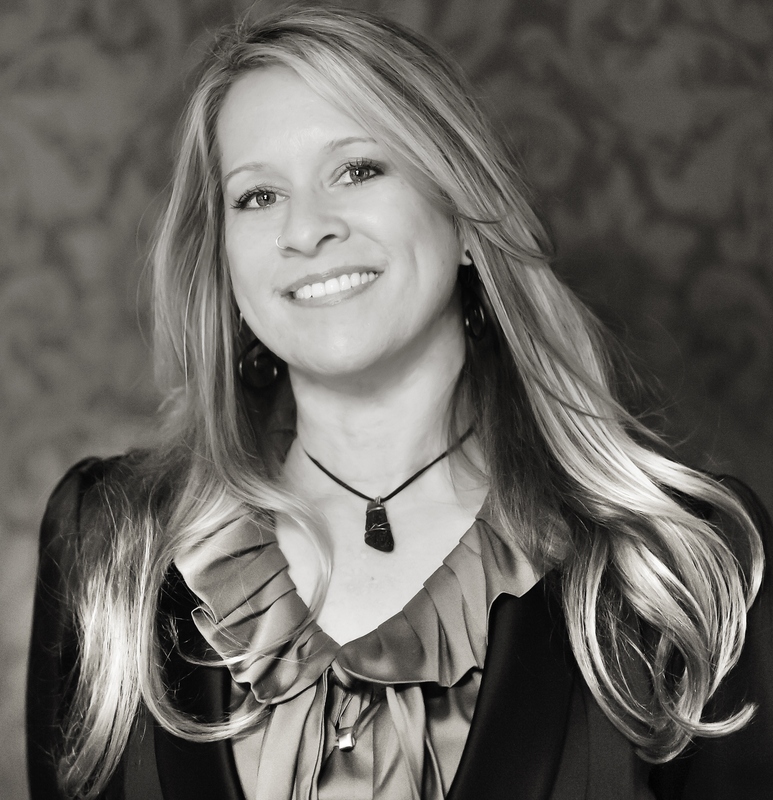 Berkana described plans for the Denver location: “As The Berkana Institute of Massage Therapy continues to align with the needs of the massage therapy and bodywork profession, we have not forgotten the wonderful city and people of Denver that helped establish our premier brand. For that reason, our Board of Advisors have agreed to convert the current LoDo location into a Massage Co-Op to further support our graduates and the greater community. In addition, we will dedicate a portion of the space to act as a Continuing Education Facility for local and international NCBTMB Approved Providers and fellow Holistic Educators.” Additional information regarding the plans to convert the Denver location into a Massage Co-Op and Continuing Education Facility will be released in the coming weeks. Prospect New Town is Colorado’s first New Urbanist community located on a former 80-acre tree farm in the southwest pocket of Longmont. Framed by snow-capped peaks and surrounded by farmland, it’s the perfect pocket of city in a rural setting. Locally owned restaurants and boutiques offer city chic with personalized, small-town service. It’s home to an array of lively, year-round events such as wine tastings, food trucks and cycling events. Intimate streets and walkways connect homes to numerous parks, shops and workspaces making it an ideal place to live and work. For more information, please visit www.prospectnewtown.com. The Berkana Institute of Massage Therapy is an nationally-recognized, accelerated, and premier Massage Therapy Licensure School dedicated to cultivating professional, competent, and compassionate bodywork artists in Colorado. The rigorous, 5-month program (offered in the Spring and Fall) is founded on a comprehensive curriculum, expert instruction, and state of the art equipment in a focused environment. Berkana students maintain an impressive 100% first-attempt success rate on the U.S. state licensing examination, the MBLEx. The Berkana Institute of Massage Therapy is an approved school through the Colorado Department of Higher Education, Private Occupational School Board, The National Certification Board for Therapeutic Massage & Bodywork (NCBTMB), and the American Massage Therapy Association (AMTA). Additionally, the school provides top-notch Continuing Education for the profession and greater Berkana community as an Approved Continuing Education Provider through NCBTMB. The Berkana Institute of Massage Therapy is approved by the VA to accept the GI Bill. Affordable tuition payment plans and opportunities for discounts are available. For more information, please visit www.berkanainstitute.com. Free Student Chair Massage? Nope! I have written this message about 3 dozen times in the last few years. This morning I started to write it again and so it seemed time to blog this out and save myself some time. As a one-woman-show, massage school owner/operator I am only representing myself in this message, but I know many schools will echo my sentiments. Every year I am approached by several companies who want my school to provide free student massages for their awesome and hard working employees. Most often the employers soliciting my school are non-for-profit providers of some kind of worthy service to the greater public; and so it seems reasonable that these workers should receive free massages from student therapists. Your employees probably do deserve free massages, but the organization needs to budget and plan accordingly to pay for these real services. There has been this broad misconception that somehow massage schools are in desperate need to have their students provide massage therapy in order to meet the clinical practicum requirements of their massage therapy educational program. The organizers/solicitors believe they are approaching the massage schools with a great opportunity for the students to work with their worthy group, and also get some much needed practice. Seems like a win-win! Nope. Any legitimate massage therapy school is going to have everything set up to meet their students needs prior to opening the school. They have to in order to be approved by the regulatory bodies that are protecting the public. Additionally, most regulatory agencies require any new class location to be approved prior to taking students there, AND often that requires filling out a form, paying a fee, and then appearing before a regulatory board at the next board meeting. At least that is how it works for me in Colorado. Reality Check! We can’t drop everything and on a whim pack up massage tables, chairs, linens, hygiene maintenance materials, forms, load it in a van…so our students can come massage your staff this coming Tuesday afternoon. Think about it. The students must have supervision, there is equipment, paperwork, travel, loads of people involved. This requires great effort and we can’t do it, and definitely not for free. If you wish to provide massage therapy for your awesome staff who certainly do deserve it, please consider starting this conversation with a school a year in advance of an ONGOING arrangement, and find the funding in your budget to appropriately support the school’s efforts. Alternatively, you can arrange with a school to buy a package deal of student massages in their student clinic, and I am sure they will give you a discounted rate. Back in the day when there was very little regulation of massage therapy and massage education free student chair massage probably happened a lot. It is over now so please stop asking for free student massage in exchange for the great opportunity for our students to serve your community. You need to pay for massage… even if students are providing it, and you are participating in their education. The intent of this blog post is to address and plead with the small and shrinking group of holistic health care practitioners, specifically massage therapists, who have a tendency to say negative things about western or traditional medicine to their clients, step out of scope with diagnoses and prescribing, and they do this all day long. I know this group well because 20 years ago, I was a full-fledged member. This morning as I stand in my kitchen making breakfast, breathing and hungry, I’m reflecting on how many times traditional/western medicine has saved my life and the lives of my loved ones. My father, grandmother and brother have all suffered from serious bouts with Diverticulitis. My brother endured a temporary colostomy bag while his large intestine healed, and my dad had surgery to remove two thirds of his large intestine after years of suffering with chronic pain and acute flair ups of the disease. I recall his discomfort from time to time as a child, and watched him peel the sesame seeds off the top of his hamburger buns. I’ve been a holistic health care professional for 27 years and counting, and a nutrition/natural medicine passionista for over 30, therefore, when I first started to have intestinal pain 22 years ago I decided to take matters into my own hands. This was also convenient because I did not have health insurance at the time. I did my research in naturopathic journals, read books on cleansing and fasting, talked with the experts at the health food stores and started a disciplined practice. I have since done annual fasts coupled with intestinal cleansing for a week every year since I was 30. I have not had any significant problems, until now. This year the disease caught me. Seeing as I had done a short fast and cleanse 3 days prior to my attack it is possible that the cleanse itself is what exasperated and/or revealed my condition. I will never know. I will also never know if my lifestyle choices kept the disease at bay until now. What I do know now is I have it, I am fragile, and my life has been saved once again by western/traditional medicine. While I was in the hospital I really wanted a massage. I was having horrible headaches due to the IV drugs saving my large intestine from rupturing, but no, sadly, there was no massage. While I was suffering an incredible wave of nausea with a completely empty stomach due to doctor prescribed bowel rest the nurse DID swirl her warm hand on my back which felt wonderful and comforting. She put lavender aromatherapy in the room, and cold washcloths on my forehead. They did allow my husband to come in and spoon me for an afternoon nap. This all was VERY powerful medicine, however, there was no massage therapist there to give me a much-needed neck and head massage. Why is that? Some hospitals are finally providing massage therapy which is paid for by patient insurance and prescribed by the physician! With all my heart I thank the AMTA, the Massage Therapy Foundation, pioneers such as Ruth Werner, Xerlan Deery, Susan Salvo, Carole Osborne, Brent Jackson and too many others to mention for the progress massage therapy has made in the hospitals. Still, massage therapy is not fully integrated. Why is that? Here is one prominent obstacle. There are still too many massage therapists practicing some form a shamanism, (for lack of a better word) making false claims about healing, telling clients to eat toxic essential oils, encouraging clients to forego doctor’s orders, diagnosing, and demonstrating to the greater medical community our profession’s inability to stay within its scope of practice and collaborate with consistent integrity and ethics. Sad. Sadder still is most of the massage therapists doing this have positive intent and really think they are helping their clients! This is what they were taught in school by their beloved mentors, and now… some 20 -30 years later… they are telling the same very old story. Some of these folks are teachers and continuing to propagate the mythology and lack of professional boundaries. Massage Therapists in every single inch of the United States should be required to take a certain amount of continuing education to renew their license including at the very least professional ethics and research competancy. Additionally, the Continuing Education providers absolutely should comply at a higher level so we know the people who are getting massage therapists up to speed, are up to speed. Last I heard, continuing education is only required for licensure renewal in 35-37 states. If you are a massage therapist and you are not taking continuing education courses I hope this article will inspire you to pursue it for yourself and for your clients. If you don’t like my message, please just take a moment to reflect on how many times traditional/westernized medicine has saved your life or the lives of your loved ones. Alternative Medicine is OUT and Integrative Health Care is IN! It should not be us OR them but us AND them! By no means am I saying that western/traditional medicine is perfect. Obvious to all of us paying attention, pharmaceuticals are completely out of control, along with health care costs. If massage therapy can get it together and collaborate with a high level of professional integrity we can position to replace at least some of the pills and surgery. You should powerfully advocate for yourself and your body whenever you are submitting to healthcare of ANY kind. For example, the doctor wanted to give me one more bag of antibiotics and I told him, “too much medicine, not enough nutrition” and so, he put me on soft food before I took the next bag. In 1988 my son was born via emergency C-Section after a 40-hour labor at home with midwives. The medical intervention saved both of our lives. In 1995 I was in a horrific car accident and medicine did not keep me alive but kept me out of unbearable pain. Medical Intervention repaired both my right big toe which I crushed under 300 pounds of wood in Costa Rica, and my thumb which was damaged in two car accidents. I am walking/running and doing powerful massage today. 2017 – Doctors and medicine kept my large intestine from exploding. Let’s face it, if you crush your leg, do you really want a shaman to chant over it and apply some tree sap? If you are a massage therapist, please do get up to speed and keep up. It’s not hard to do! Our profession is investing considerably in research and many new valid discoveries have been made! This is terrific news! Massage Therapy is fine for healthy moms-to-be in the first trimester. Massage Therapy does NOT remove toxins. A new muscle has been discovered. See if you can find it. The parasympathetic nervous system may not govern the Sacral Plexus. Massage Therapy does NOT spread cancer. There is MORE! FIND IT! Back in the day I would read a rune to each and every client at the end of their massage. I calculated their astrological charts to better understand how I could help them. I had crystals in my massage room and I still do because they are pretty. Today I believe in magic. I like to do ceremonies under the full moon, and I’m known by family and friends (not clients) for my special “white witch flu brew” around cold and flu season. I cut my teeth on the mystical, and I also know it’s high time massage therapy really honor the boundaries of our profession so we can work with and support the healing of those who need it the most. I am a massage therapy educator, former practicing massage therapist of 20,000 plus hours and a mentor of over 300 graduates. Now you know why I’m exposed to, and experienced with this subject matter. Let’s move on. This article is not for me, and it is not for my graduates, but for the thousands upon thousands of clients our profession serves. Let’s talk about time management in massage therapy. My goal is to share with clients the perspective of massage therapists with regard to time and how it works in massage land. This article is not intended to be an insult or to offend anyone in any way, but to educate the public on the unique perspective we massage therapists have with regard to time. The environment is prepared for you in every way. We are mentally and emotionally prepared to devote ourselves to this time to serve you an awesome bodywork experience. The condition of the drapes on the table (sheets) are hygienically and aesthetically prepared for you. All odors or aromas in the room are neutralized. The temperature of the room is comfortable for a person who is relaxing. The song list that is prepared to play for you is at the appropriate volume to swiftly support your journey to bliss. Our fingernails are extremely manicured so that we do not scratch you. The amount of cream or lotion that we have is appropriate to meet your needs. We have the water poured for you and for us. We have flossed and brushed our teeth again because we had lunch or breakfast and don’t want to offend you in anyway. We may have tended to some other important hygienic and/or health concerns such as used the bathroom, washed our hands and arms, blown our noses, put on more deodorant, used a cat hair roller to remove any fluffs off our garments etc. We make sure that the space is tidy, hygienically prepared, presentable, well equipped and pleasant for you in every possible way we can think of. Once we know all of that is covered in advance of your arrival, we start to watch the clock and wait for you to arrive. We may do some deep breathing or stretching in preparation. We know we have exactly as much time as you have asked us for to provide a wonderful treatment for you. We are planning in our minds eye around that time. We have both agreed upon the price of our time together and that is to the minute, Folks. When a client is late to a massage therapy appointment even by minutes, stress starts to bubble up for the massage therapist. The treatment will not only be shorter, but may be impacted by the stress experienced by the Massage Therapist. 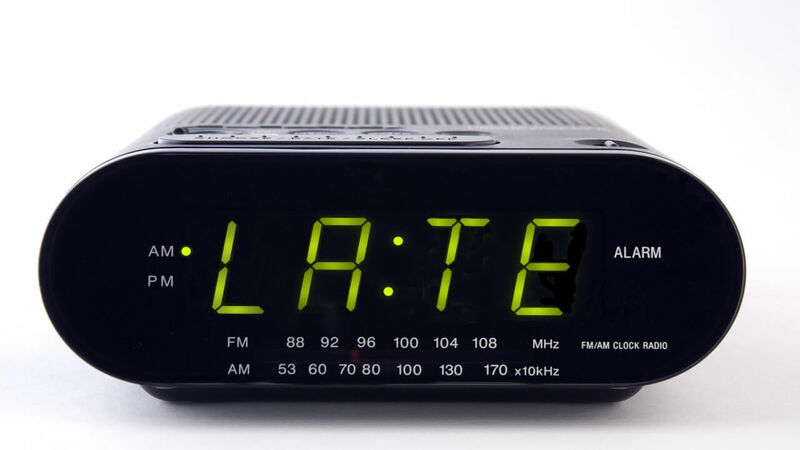 When you are late to your massage concerns begin to arise such as: Are they okay? How am I going to get it all done? Did I make a mistake in my calendar? Since I have to charge them for my time which they have scheduled, are they going to resent me when I have to charge them for the time I am spending waiting for them? Will I finish on time and have enough time to get the room ready for my next client? Or to pick up my child from Kindergarten? Or to miss traffic? Or, Or, Or? One late arriving client can create repercussions that effect the quality of the entire day for the Massage Therapist. People are late and life is messy. Your massage therapist may at one time or another be late too. We all understand this. People are not robots. It may help you to know that this is not a comfortable situation for you OR your massage therapist no matter how unruffled they react when you are late. Their job is to conserve all potential for your therapeutic experience. Your late arrival not only increases YOUR stress, but that of your massage therapist. We are paid for the time that you have reserved with us. The time you pay for does not begin when you arrive, but begins when the time you scheduled us to be working with you arrives. Additionally, we don’t want clients running through the door and launching onto the massage table without proper intake time. This starts to conflict with our ethical responsibility to perform a thorough intake with you before the hands-on work begins. Some massage therapists will not practice a strict timing discipline, but most do, and all should. For our profession this is a measure of professionalism. For those who do keep strictly to the clock, please do your very best to be at least 5-10 minutes early for your massage so that you can receive the most benefit from your skilled massage therapist who is not compromised by the stress of a late arriving client. Consider distance and traffic patterns. Plan the rest of your day accordingly. If you are going to be late, please text or call your massage therapist right away so they don’t have to imagine what is going on. Make sure you understand and agree to the policies your massage therapist has for missed appointments, late arrivals, sickness and emergencies. Your massage should be a wonderful and life enhancing experience. It’s fantastic that you are taking this time for yourself to receive the benefits of therapeutic massage! You will receive immediate positive results from practicing this form of self-care. Be sure you get the maximum benefit by planning accordingly so that you can be on time to your session and prevent a late arrival from compromising your intended goal to feel much better. Accident Advice from a Massage Therapist: What you see is not always what you get! I am writing this article because I am regularly hearing from my beloved Alumni, family and friends that they have had accidents; or their friends, family and clients have suffered accidents. I have some advice to share because the trend seems to be to give these events little attention (if that is at all possible) and just carry on. This can be a big mistake. Every event that involves you at a higher speed running into something, or a thing running into you as it was rapidly flying through space is an accident. In other words, either you ran into it, or it ran into you, and the “its” could be just about anything. If you are air lifted or carried to a hospital in anyway with bleeding, serious trauma, unconsciousness etc., obviously seeing a Doctor is your first defense! My main motivation for this article is the myriad of whiplash victims I have encountered or heard about who are in a mild fender bender and go about their lives, when debilitating pain presents 6 months or later after the event. Often when this happens, the potential coverage for treatment is no longer available. Normally when you are in an accident, you are in shock. The level and intensity of that shock will be determined by the event, the damages, the injuries, and by who you are constitutionally. When you are in shock, the natural thing for you to do is to begin to cope as best as you can with the situation. You will start processing the event in the realm of “how can I make sure everything is ok”. You will look at the property involved, the people involved, start to negotiate the planned events that are getting derailed, (if you are able to) and try to shape the event in such a way so it will drop conveniently into your reality in a way that it will fit, and everything will be just fine. Within that negotiating process, you will be forced to pay attention to pain in your body. This is not a time to be a tough guy or girl… this is the time to listen to the feedback your body is giving you. Your body is going to have endorphins coming to the rescue to help you cope with the scene, so you will not have a real accurate assessment of the feedback your body is giving you. You are not going to feel the pain that truly represents the physical damage….yet. You will naturally try to diminish the extent of things to help you cope. This can be a real big problem because you must advocate for yourself, and/or have someone else advocate for you if you are not able to. It’s way too easy to say “oh I’m fine… I just feel a little soreness there, it will be fine tomorrow… I’ll just take an Advil and put some ice on it”. In this day and age and culture we are all conditioned to say “it’s no big deal… I’m fine”, and tough it out. You may not BE fine, and if you say you are fine, and convince yourself you ARE fine, and convince your advocate that you are fine, you could miss out on opportunities to receive treatment, AND THE COVERAGE OF TREATMENT YOU ARE ENTITLED TO, that may have a phenomenal impact on the immediate and long term outcome of your recovery. If your accident is anything beyond a minor incident you should see a doctor. Not being a doctor, you are not qualified to diagnose anything at this point so you need to go to a doctor to figure out what damage you have truly sustained. Do you have a concussion, do you have bruises and contusions, is anything broken, is anything ruptured, is anything bleeding that you can see or can’t see? These are the issues the DOCTOR is going to check for you and make sure you are cleared or treated for. The DOCTOR is the one to help you make sure there are no hidden problems that could potentially be REALLY bad right now or later. What the doctor may not see and may not consider, or may not consider a problem for you later is SOFT TISSUE DAMAGE AND THE LONG TERM CONSEQUENCE OF THOSE. You may not fully realize the long term effects of the soft tissue damage (muscle, tendon, ligament and the nerves that work with these structures) until several months, if not years after the accident. Depending on the musculoskeletal damages you have sustained in the accident, the support you receive in the early stages of your healing could greatly influence the long term impact of the accident on your life. If any of your injuries involve a sprain, strain, broken bones, soft tissue injury, whiplash, or surgery, Massage Therapy can be very supportive to your healing process and have a powerful and positive influence over the final result. Depending on the nature of your accident and the injuries, you most likely will not be able to receive massage therapy until the chronic stage of your healing. If you are working with a doctor, neurologist, chiropractor or an osteopath, you can ask them about working with a massage therapist, and see if they are open to writing you a prescription. It’s possible that your insurance plan will cover massage therapy for you. Throughout your healing process, massage therapy can greatly support you in coming back to yourself as much as you can in the face of the trauma you have experienced. Physical Therapy, Chiropractic, Strength Training and Emotional/Mental Healthcare professionals may also be part of your recovery team. If what has happened to you is the fault of another party, it is important that you receive all the care you need, keep solid records, and if necessary get an attorney to represent you. Don’t settle for as long as it takes to finally understand the long term damages you have sustained. This can take months to years. I recommend you keep a daily journal to record what you are feeling from day to day. I hope that none of us are in any accidents! In the event you are I wish you a swift and complete recovery! Hopefully at least one piece of this advice will come in handy. No matter what, do not try to sweep what is happening under the rug and tough things out. You must pay attention to your body and what is going on as the healing process unfolds or you could miss a great opportunity to receive support and save yourself from bigger problems down the road. Specifically, pain resulting from musculoskeletal dysfunction. If you do not have any injuries from your accident, please do take time to rest and find ways to nurture yourself before you go back to your normal day to day activities. 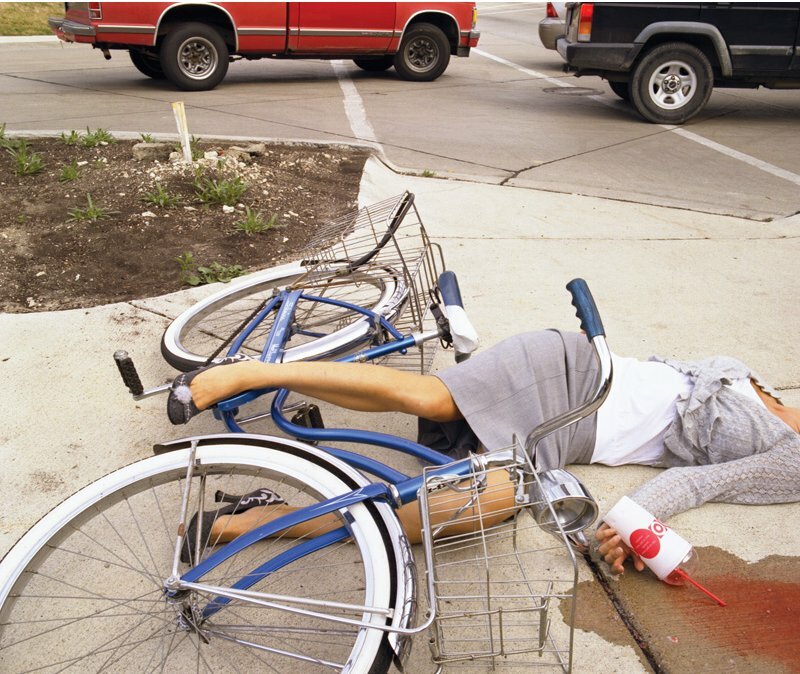 Even a minor accident is a trauma that you will need to recover from. Why am I qualified to give you advice? I have been in the field of Massage Therapy for 26 years as an educator, school founder, curriculum architect and a practitioner. I have had hundreds if not thousands of client’s who present with chronic injuries from accidents in the past that impact their lives later on. I have been in accidents myself. I have been in 2 major and 3 minor car accidents, I have fallen off horses, bikes, skateboards, and had a stint as a Karate enthusiast where I was falling hard, being punched and fighting. If you want to know more about me you can read my bio here. RIGHT NOW is the BEST TIME EVER to become a MASSAGE THERAPIST! Disclaimer: This article is an effort to educate and recruit massage therapy students. If you are considering embarking on an education and career in Massage Therapy, there has NEVER been a better time to do this! I would like to share with you my perspective and hopefully encourage you to move forward in your research and also to consider if the Berkana Institute is a potential fit for you. As an educator who strives to be on the cutting edge and provide the most current and up to date professional education that we can for our students, my team and I have been extremely challenged in the last 2-3 years. The reason we have had this experience is tremendously exciting and that is what I wish to share with you. The American Massage Therapy Association has supported the Massage Therapy Foundation which creates and facilitates Massage Therapy Research. The result is valid research which strongly indicates that Massage Therapy is much more valuable than previously known to the health and welfare of people; and specifically supportive to those who are suffering and in pain. The days of Massage Therapy being considered a spa type luxury item are OVER. Massage Therapy is HEALTHCARE and preventative WELL-CARE. Additionally, we are learning what we as a profession have been doing (or not doing) that has been damaging to our professional reputation, and to our clients. The profession is re-evaluating those outdated methods and ideas so we can better serve the best interest of the people we serve, and do no harm. There has been a profound and accelerated evolution in the practice and profession of massage therapy and it’s on RIGHT NOW! RIGHT NOW massage therapy is being accepted and recognized as legitimate health care and as an alternative to pharmaceuticals for pain management. With the growing epidemic of opioid addiction this is a very big deal. Jobs for Massage Therapists in and out of the hospital setting are on the rise and this will continue. As an educator, I am on the fast track with my expert colleagues to create and implement education that will prepare our graduates for what is happening now and what is coming for this profession. If you are considering a career in Massage Therapy don’t stop looking. Look at all of the schools and look at what is currently happening in this profession. The profession of Massage Therapy needs caring, ethical and intelligent practitioners more than ever and RIGHT NOW! Here are some links that you can use to explore what I’m referring to in this article. Let me share with you who I am and why my opinion might be worth your consideration. I have been in this profession for 26 years. I was very lucky to attend what I believed to be the best school in the nation at the time, and had the great fortune to study with some amazing pioneers in this field who all had connections to the HUMAN POTENTIAL MOVEMENT. The school I attended was HOLISTIC, which means I was not only learning massage and bodywork technique and science, I was also studying the basics of psychological phenomena, and was encouraged to participate in careful self-inventory and self-development to ensure I would be prepared to work with the complexity of clients at their most vulnerable state. I then went on to have 16 years of full practice work in eclectic environments and cultures, with opportunities to serve an extremely wide variety of clients. I provided about 20,000 hours of massage therapy and peaked in my practice in 2005. I decided it was time to share what I had learned so I could indirectly reach a larger audience. I needed more hands! Having been an international explorer, and having a brief education in international business I decided to create the first international/residential massage school. I chose Costa Rica. I trained 180 amazing massage therapists in the 7 years I lived there…there were monkeys, and it nearly killed me… enough said. Fast forward, I returned to beautiful Colorado in 2012 where I have founded the Berkana Institute of Massage Therapy in the heart of Denver, Colorado. I have facilitated my original entry level massage therapy certification program in Costa Rica and Colorado 29 times and have signed 300+ diplomas. This unique apprenticeship style program is refined with every term and it has been touched by over 2 dozen experts. Graduates have a 100% first attempt success rate on National Board Examinations and are holistic entrepreneurs who diversify Massage Therapy in practice as independent massage therapists in private practice, as employees and independent contractors. The Berkana Institute is designed to be a charming and small, professional boot camp which provides a seriously accelerated, high caliber education. We only accept 32 students per year in 2 classes of 16. We teach our students to provide exceptional massage therapy and bodywork, that is highly ethical and professional, and is provided from a compassionate and mindful place. Excellence is our guide and we work very hard. This program is not a good fit for everyone, and perfect for a certain type of person. Let me be clear to state that I do not believe the occurrence I am going to describe which took place in Mexico is a reflection on Mexico. 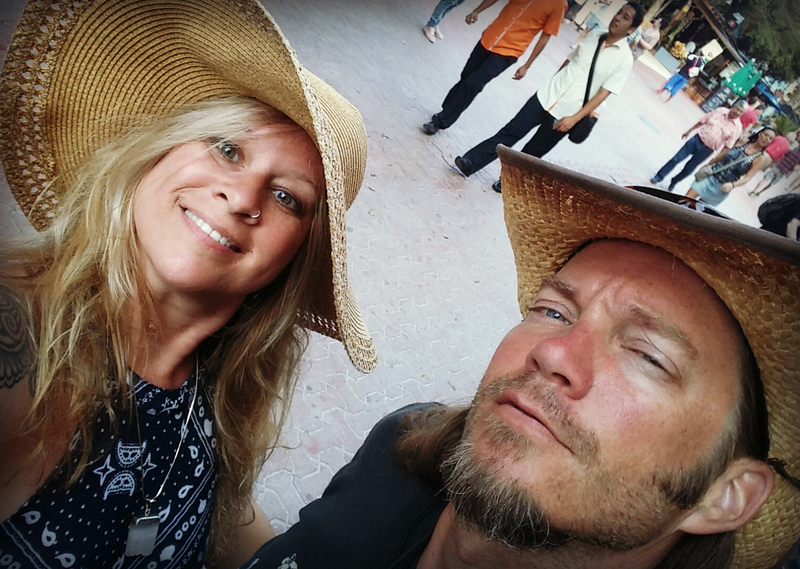 I don’t know what the rules or regulations are in Mexico to give one permission to perform massage therapy, and I don’t know if the incident I am describing to you was a result of no rules and regulation, or lame rules and regulations being followed, or rules and regulations being broken. In any event, I am sure there is some awesome massage therapy happening somewhere in Mexico… just not in this place at this particular time. So very many things went wrong during our couples massage, I will simply put the voice recording directly following here. If you are a professional massage therapist, I’m hoping you will understand what all went wrong and WHY it was wrong. If you don’t know why, please feel free to ask me and I will get back to you on that. We bought a couples massage in Mexico at a 5 star resort. We paid $171.00 for the session which was a 50% off rate, and we did leave a 20% gratuity. I felt we should not punish the “therapists” who worked hard and did their best. We were brought into the lovely and clean looking spa, filled out some paperwork (good move here) and both sent to our locker rooms to remove our clothing and put on robes and slippers. We were then brought to the room that was dimly lit, had fake cloth rose petals strewn everywhere, a hot tub that was filled with cold water, two massage tables with no face cradles and pretty folded swan shaped towels and lit candles. Very romantic and pretty. The first Massage Lady (no, I am not going to call either of them “therapists” ) came in and poured a ton of essential oils into the tub (We still think that water is warm at this point) and she then used the remote control to activate the jets. She then motioned to an entire bottle of champagne and glass glasses and said “this is for you”. What’s a couple to do? We drank some of it, fully knowing that alcohol consumption prior to deep tissue massage (which is what we ordered) was contraindicated. We added some hot water to heat the water up a bit since the water was cold and we then relaxed for about 20 minutes in the tub. All was well at this point, and I was curious more than anything about how this was going to go down. The ladies came in and they told us to get on the tables face down. There was the swan and some other things on the table but I did get on the table prone and there was no face cradle. I’m thinking at this point, this is going to totally jack my neck. Then they came in and remove all the junk on the table, and then inserted a non adjustable face cradle that felt like 3 bricks and asked me to scoot up and put my face in the face cradle. The massage began and I knew this was going to be torture. This was a deep tissue massage and the woman was using LOADS of some lube and the pressure was zilch. I felt that my skin was barely moving. I hung in there for a while, waiting for her to check in on comfort and depth, which she did not, and so I said to her “permission, mas fuerte por favor” which means “excuse me, make it stronger please” From this point on, I got the depth, but every single technique now was a forearm smoosh. EVERY SINGLE TECHNIQUE FOR 80 MINUTES. We got through. At the end of the session I asked Michael how his was. It was not good. As I was sitting there talking to him, we noticed on his bottom sheet which was previously not exposed there was a smudge of what looked like blood. I quickly started to look at him to make sure he was fine. He was. The stain looked like a 3 inch long by 1 inch wide schmere of blood. At this point I became very upset. We got dressed and I discretely spoke to the woman at the front desk about the blood stain. Not knowing the standards of Massage Therapy in Mexico, I did not go into my great dissatisfaction with the entire massage. The whole experience was terrible. They did call us to let us know that the stain on the sheet was probably chocolate from their chocolate body mask offering, and they did offer to let us sit with our feet in their special fish tank where the fish eat the dead skin off of our feet. Ummm, No thanks. This is just a guess but I don’t think that treatment meets with normal hygienic standards. In the end, I’m probably going to write this large chain of resorts and inform them that some serious remedial education is needed, and offer to put a team together to provide it. I won’t be paying to receive massage therapy again at this resort. They did know I was a massage therapy educator and expert from the U.S.